See a sale, post a sale. Let everyone know whats out there. It's that time of year again! Thanksgiving is this week and we certainly hope that all of you have a blessed Thanksgiving day. We are hosting our virtual knife show tomorrow November 21st2018. This is just in time for Christmas! All knives purchased in the virtual knife show will come with a standard leather hip sheath at no extra cost. They will also be shipping out this week so you will have in plenty of time for Christmas. Here is how it works. 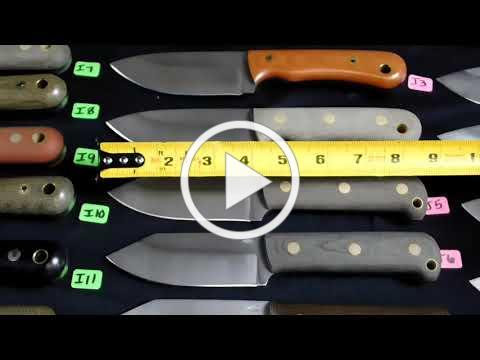 Watch the video, find the number of the knife or knives that you are interested in and give us a call or email to order. Please do not call or email until the designated time!!! !